Yes - our title today announces that we are one-third through the three months of winter here in Ontario. Both of these windows are in the Queen Street West neighbourhood in Toronto. The first is an empty store front with its eerie white fog of a space. 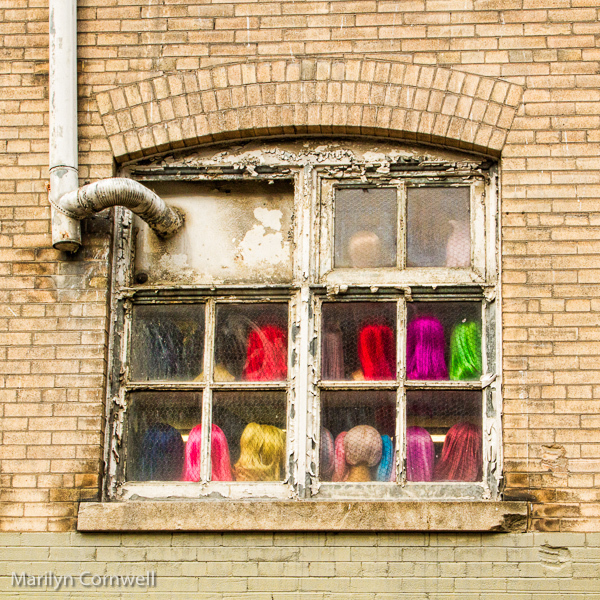 The second is the Malabar window on the alley way with its fluorescent wigs in the window. Two opposites that define what the Queen Street West experience is. The history of windows is a long story of evolution in building openings - the start is holes with flaps. 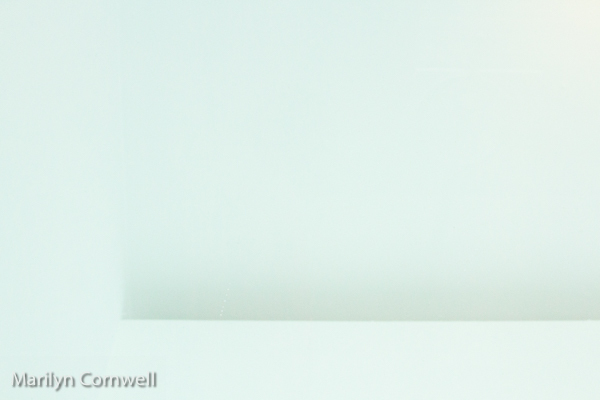 The word window is considered a loanword - adopted directly from another language. The most familiar parallel name for window was the Roman fenestra which became fenester in German. The words fenestration and defenestration are still in use. Of course we can move on to the most amazing stained glass windows from the BBC 'here' or from Huffington post 'here' or 40 of the most beautiful windows 'here' - stained glass reigns. A search for the most famous windows in the world reveals one window - the window from the Pope's apartment. Another search had a top ten, with the second most famous window being the Texas School Book Depository's notorious window. This seems to be a 20th century American view of things. I wonder if there are amazing windows nearby to photograph. Are there some in the GTA to visit?